Put an end to the CJ Clutch Linkage disconnecting at the worst time Blues!!! 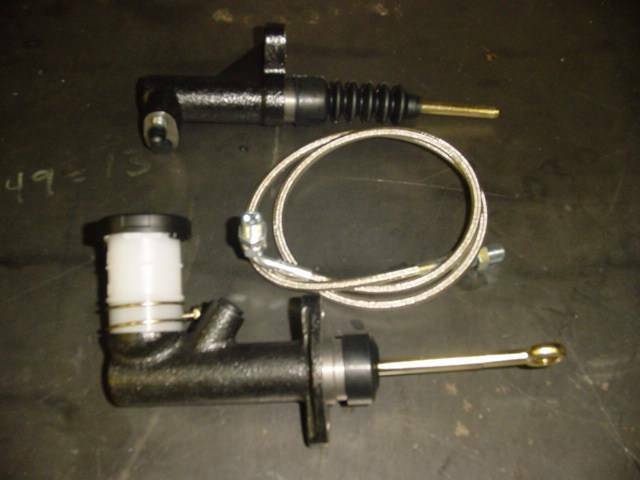 Convert to Hydraulic with our kit, Minor fabrication may be required but basically a bolt on. May be adapted to most applications. The little Master Cylinder bolts to the firewall and hooks up inline with the clutch pedal, The "slave cylinder" bolts to the bellhousing and presses into the clutch fork, The hose connects the two. M/C, Slave and Hose may vary from photo. 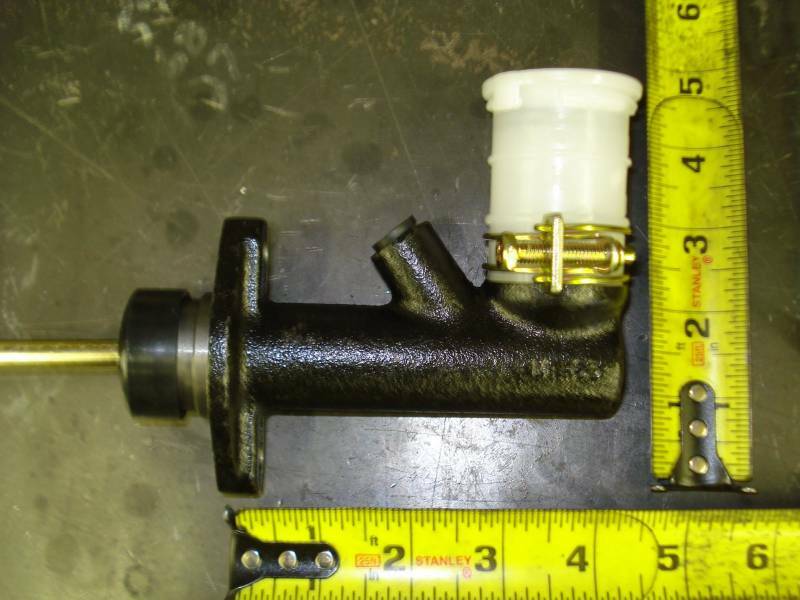 Master Cylinder has 15/16" bore and 2" stroke, can be converted to remote reservoir. 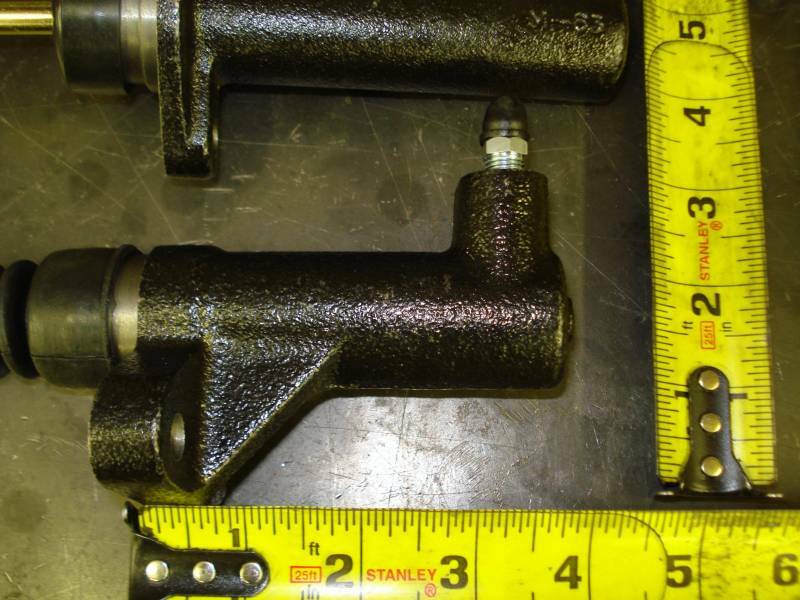 Slave Cylinder has 15/16" bore and 2" stroke. 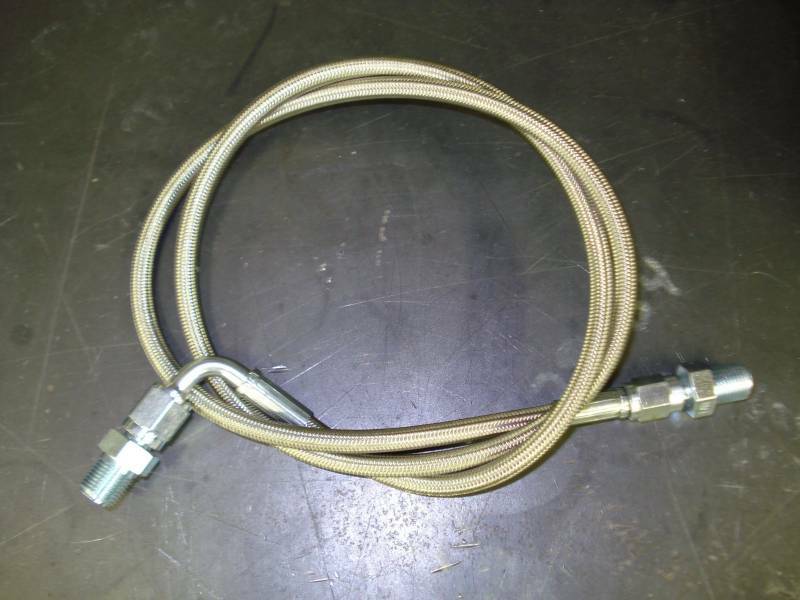 36" braided hose has 7/16-24 male ends that adapt to female 7/16-24 inverted flare ports. 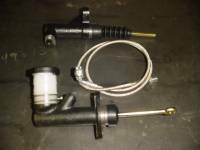 Works with virtually any application including Muscle Cars with our optional Slave Cyl mounting bracket (not required for CJ) !!!!! 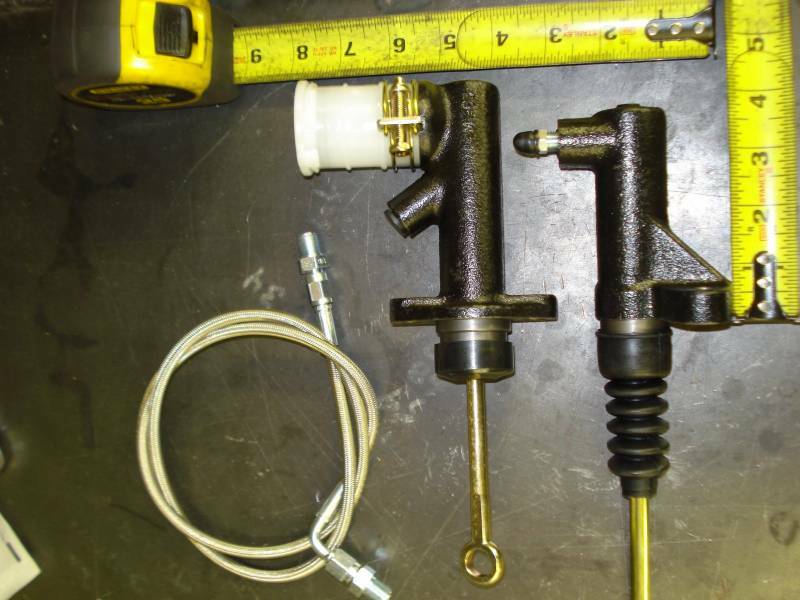 master cylinder and slave cylinder.